We reproduce here, the text of his keynote address given at the conference on Beliefs and beyond in March 2018, in Bengaluru. Is belief relevant in the modern scientific age? There is no better way to answer this question than by simply narrating the role played by intuition, belief, premonition, and mysticism behind two of the most important modern discoveries of 20th-century physics, which have changed the world in the last century. We are all aware of the theory of relativity by Albert Einstein and quantum mechanics by Niels Bohr, Erwin Schrodinger, and Werner Heisenberg, which were two incredible breakthroughs in scientific history. These two theories have changed science itself by shaking the deterministic mechanistic world-view of Newton, held to be true for centuries. It was overthrown to give way to a non-mechanistic, probabilistic world-view. Practically every technology we see today, from mobiles to information technology, is derived from these two discoveries of physics. You will be surprised that both these theories had their origins in a dream that the two scientists (Einstein and Bohr) had. In other words, what has changed the scientific world, had its origin in the dream of the scientist. Einstein himself acknowledges that a dream he had as an adolescent was an inspiration for what was to become the theory of relativity. The dream in his own words: I was sledding with my friends at night. I started to slide down the hill but my sled started going faster and faster. I was going so fast that I realised I was approaching the speed of light. I looked up at that point and I saw stars. They were being refracted into colours I had never seen before. I was filled with a sense of awe. I understood in some way that I was looking at the most important meaning in my life. Einstein admits that his entire scientific career was a meditation on this dream. Niels Bohr, one of the founders of quantum mechanics, who won the Nobel prize in 1922, developed the model of the atom with electrons orbiting around the nucleus in quantised orbits. Bohr writes that he attempted to design various frameworks for the configuration of the atom, but none would fit. One night, in his dream, he saw electrons spinning around the atom’s nucleus, like planets revolving around the sun. Upon awakening, he felt the vision was accurate, and immediately went to his lab in search of scientific evidence to support his dream. No doubt, scientific knowledge itself is built on the rigorous scientific methods adopted by the scientists. But as we have seen in the above two cases and many other cases, science does not advance from A to Z, just by research and cold rationality. The very minds of the scientists who built up this rigorous science, used inexplicable methods beyond scientific rationale to innovate and originate these world-changing theories. They did not limit themselves to only rational processes to come up with these ideas. Many of the incredible breakthroughs in scientific history are the result of dreams, intuition, or the mystical part of the brain. There is historical evidence of these scientific giants themselves admitting that they went beyond their rational processes to come up with the most powerful theories of our times. When a scientist creates a hopeful hypothesis, he does that as an interim belief that it is a highly probable explanation of experimental data in his opinion. It is that hope, that makes him device extraordinary experiments. Thus, belief too has been key in expanding the frontiers of science. However, only science has gone the extra mile to prove or disprove the hypothesis. Along with Niels Bohr, two other scientific giants who are also credited with quantum mechanics are Erwin Schrodinger and Werner Heisenberg. History has recorded that all three were in touch with the Vedas and, particularly, the Upanishads. In all the world there is no kind of framework within which we can find consciousness in the plural; this is simply something we construct because of the temporal plurality of individuals, but it is a false construction...the only solution to this conflict, in so far as any available to us at all, lies in the ancient wisdom of the Upanishads (page 31). The unity and continuity of Vedanta are reflected in the unity and continuity of wave mechanics. This is entirely consistent with the Vedantic concept of All in One. Most of my ideas and theories are heavily influenced by Vedanta. Take the case of the mysticism that surrounds the great works of the mathematician Srinivasa Ramanujan who developed about 4000 theorems by the age of 32, with almost no formal training. Many of the formulas that he scribbled in a notebook, from his deathbed, were discovered only 50 years later, preserved by his wife. Armed with these mathematical tools, today, physicists are trying to understand objects like black holes and string theory which is supposed to be the ultimate stuff the universe is made up of. Ramanujan credits his works to Deity Goddess Namagiri of Namakkal who would visit him in dreams and present him with scrolls of complex mathematical formulas. He would then test and prove them after waking up. His works are a miracle in mathematics, as it is unlikely that one with no formal training could come up with such mind-boggling equations. Here is a case where equations were written first as applications of theorems and the best mathematical minds are even today working on these formulas to prove them. So far, they have not found even one of these theorems to be wrong. Beliefs, customs and practices, and their effects on the human being are plenty all over the world. What is lacking is the disciplined process to work on evidence-based belief in order to prevent its abuse. It is an extremely useful human faculty that no one can do away with. Apart from the correctness of the semantic content of the beliefs, belief by itself is a useful mental construct or shortcut to perceive and respond to reality. Beliefs are self-learnt along the journey of our life by the influence of people, places, events, and situations, based upon its positive and negative effects upon our deep, instinctual search for power, knowledge, happiness, and pleasure. Cultural beliefs have contributed tremendously to the welfare of humanity. No doubt, the misuse of belief is also rampant in society for the vested interests of the few. Dr Veerendra Heggade, Dharmadhikari of the Dharmasthala Temple, has coined an appropriate word called ‘mis-belief’ for beliefs that have destructive effects on human society as a whole. The practice of beliefs has hitherto remained within the precincts of cultural and religious groups. Should not there be an attempt to put together what is evidence-based belief and share it amongst a larger audience for greater benefit, especially those beliefs that solve the problems of mankind? If the present tools are insufficient, should we not explore new methods for investigating beliefs that are useful to mankind? A typical case for potential research is the subject of reincarnation. There are so many reported medical cases of near-death experience all over the world. There are cases of children giving detailed descriptions of places from their past lives, which have been verified to be true. But unless we have authentic investigative procedures to record the evidence, we cannot separate the real from the fake and, thus, these beliefs never get conclusively proven either way. I keep wondering why MIT and Harvard are not setting up a chair to study reincarnation. Is it, again, prejudice of their current scientific belief that there is no life after death that is preventing them from setting up research to study reincarnation? Despite it being the belief of billions of people on this earth, there is not a single formal study in any university or research centres anywhere in the world to investigate this belief. Let the rigour of scientific research be applied, to unearth if there is truth in it. A real intellectually progressive society should not hesitate to explore any domain of knowledge, even if the present-day thinking tools are not capable of dealing with these unknown domains of reality. We should attempt to find alternative tools to explore the secrets of nature. There are too many phenomena out there that stare at us and challenge our understanding, which cannot be explained by the known laws of present-day science. There are more things unexplained than explained. Science is not the only system of thought to command our attention, though we are living in a scientific age. Various cultural and religious thought systems and traditions, that have survived for centuries, cannot be ignored as useless to mankind. The claim of science was that it was dealing with the truth, until the beginning of the last century. But today, there is a deep division amongst the scientific community about whether science is about finding the truth out there or it is just modelling reality to study its effects. Most of the modern understanding is based on theoretical mathematical models, and it has very little to do with descriptions of reality as it truly exists. 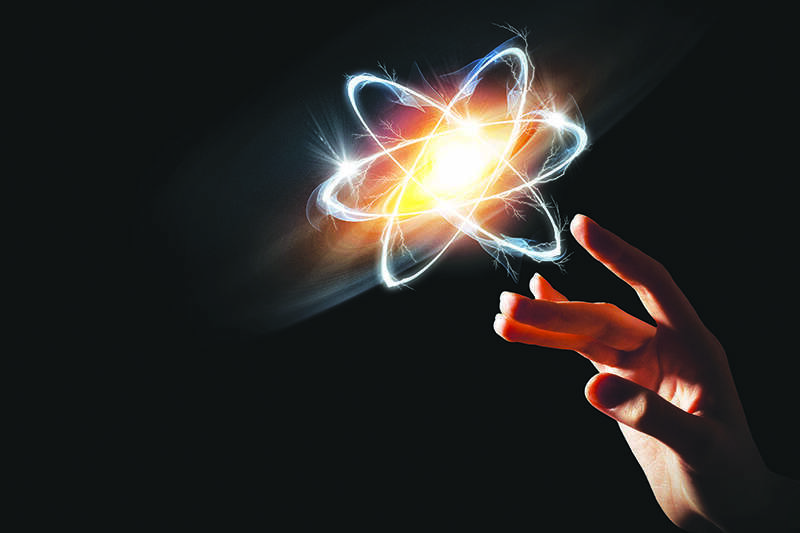 Do atoms really exist? Do electrons exist? Science or the founders of these ideas, admittedly, can never answer these questions. There is a deep paradigm shift in science, away from the mechanistic reductionism of Newton, to holism. When science, today, is largely about studying aggregates and complex systems and not really the truth out there, why can we not extend the rigorous scientific method to model traditional beliefs, study its effects, and develop theories as to how and why belief works if it works, or discard it if it does not work. In this way, we can extend science to studying traditional beliefs that have worked for generations. If the phenomena behind these beliefs are deciphered, it could help man enter the deeper secrets of nature. Misuse of a thing does not make the thing useless. Just because the human faculty of belief has been misused for exploiting the ignorant, we cannot eliminate beliefs from human society, especially beliefs that have stood the test of time. Science is also no exception to abuse. Today, there are so many proven cases of unethical means of creating manipulated scientific data and statistics, where they have worked backwards to prove something for huge commercial gain, especially in social and medical sciences. It is well known that many pharmaceutical giants are no exception to exploiting science and scientific methods for commercial gains. It is a fact that much research is conducted today for reasons other than the pursuit of truth. Does it mean these sciences are to be abandoned? The answer is obviously a ‘no’. On the same count, we should not throw out traditional beliefs within human society without a disciplined process of eliminating the fake ones and studying deeply the real ones through innovative, investigative rational methods. Ethical scientific research has led humanity to big discoveries. And extending ethical investigation to these beliefs will open up mankind’s search for knowledge to hitherto unexplored territories of nature. Life is not just matter. Quality of life depends on quality of spirit. Such an endeavour will eventually lead knowledge of matter to meet knowledge of spirit and integrate into a holistic knowledge of life itself.